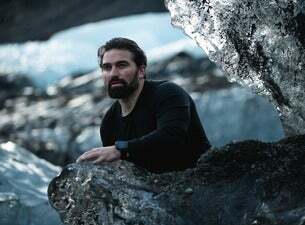 Ant Middleton, known from the hit shows, SAS: Who Dares Wins, Mutiny and Escape, is taking his new fully immersive show, The Mind Over Muscle, across the UK in 2019. The tour will bring the "elements" to the audience through lighting, sound and set. It will recreate what mental strength it took behind the scenes for Ant to complete his recent SAS series and his huge Everest challenge. Born in Portsmouth and raised in rural France, Ant set his sights on a career in the armed forces and didn’t stop striving until he achieved his goal. He has achieved the Holy Trinity of the UK’s Elite Forces (P Company, Commando Course, UK Special Forces Selection) and thanks to his huge range of Special Forces experience, he has invaluable skills in survival and endurance. Ant's appetite for adventure and extremes has no limit and has lead him to take on some amazing challenges. The future will see Ant take part in his fourth series commissioned by Channel 4 and embark on a brand new 20 date UK tour.